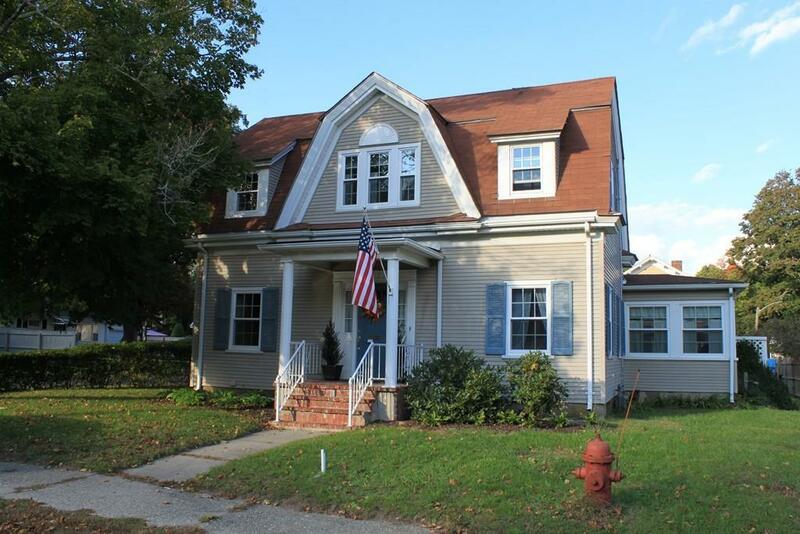 Lovely Traditional Dutch Gambrel in a quiet neighborhood. On the first floor this home has spacious kitchen with newer appliances, a half bathroom, a formal dining room with a closet and french doors that lead to the mud room and living room. The living room is very spacious with a gas fireplace for those cozy winter nights. Also located on the first floor is a heated year round sun room that overlooks a beautiful brick patio located in the back yard. The second floor has three good size bedrooms with a bonus office or nursery room. The entire second level has hardwood flooring and also an upgraded full bathroom. This home has a yard that is beautifully landscaped creating a lot of privacy and also has an unattached two car garage. Vinyl windows (2014), Heating system- serviced yearly (2007), Water heater (2012), replaced electric (2014). Selling Office: Prestige Realty Experts Inc.